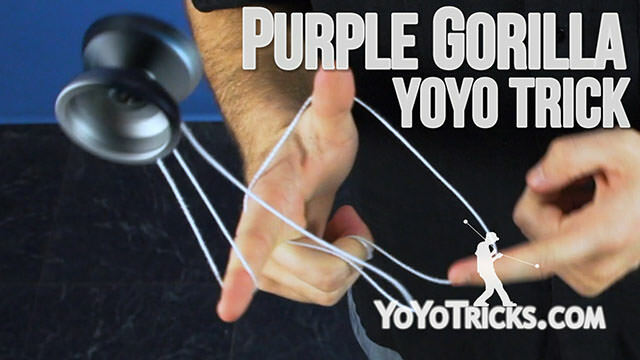 Learn the Purple Gorilla 1A Combo. 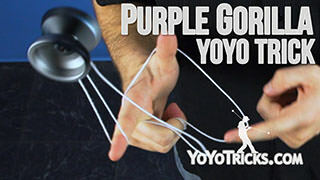 Purple Gorilla Yoyo TrickIn this video, I am going to teach you the trick Purple Gorilla. It looks like this. 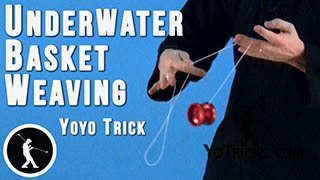 Now, to start this trick, we are going to start off in an Inverted Trapeze. 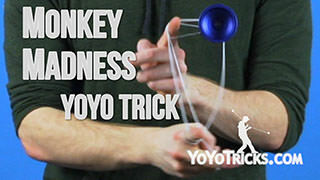 There are some people who call it the Gorilla Trapeze. 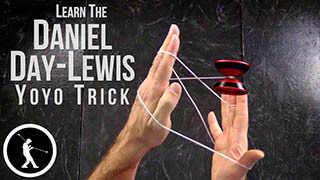 To do this, you are just going to take your opposite hand, turn the index finger inward. 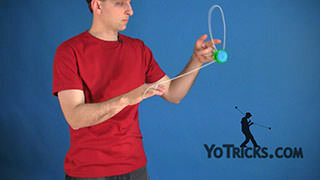 It can help to practice just by throwing the yoyo and rocking it. Then landing over the string like that. Of course, you want to be able to do this all right from the throw, so just get the finger pointed out so that it is inverted like this. Just throw right into it. 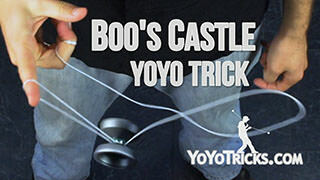 If you are having trouble landing it, one thing that helps is to try to land with the yoyo as close to your index finger as possible. The next step is, we are going to go into a Double or Nothing. 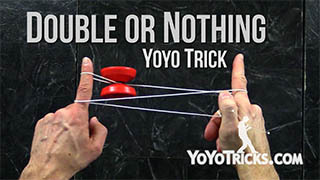 It will be just like a normal Double or Nothing, but your opposite hand index finger will be facing the opposite way. So, to do this, we are going to go from this inverted trapeze. Stick out our throwhand index finger. 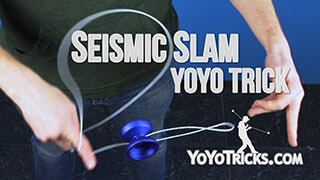 Bring the yoyo over top. 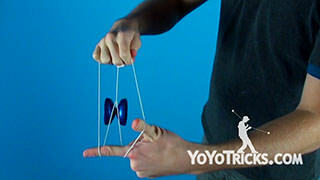 Then we are going to mount the yoyo around our opposite index finger away from us, but over top of that index finger. So now you can see, we are in the Double or Nothing. Our finger is pointing inward. From here we are going to roll into the top string here, over our throwhand index finger. Stick your throwhand thumb in between the string. This helps separate it for the next step. You are going to roll onto this front string, over your index finger here. 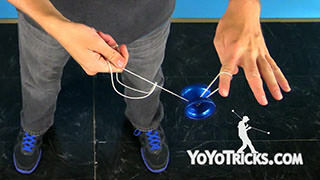 The next step, we are going to throw the yoyo around and we are going to pull out both index fingers and put our opposite hand index finger back in, performing a Suicide. So now you will notice that you are right back into a Trapeze. But you will notice you have this little wrap over your throwhand. From here, you can practice the next part by itself. To do that, just get into a Trapeze. You are going to take your throwhand thumb and twist it around. So now you are right where you would have landed if you had done the first part of the trick. What we are going to do is take our throwhand and we are going to go over, and go flip forward. 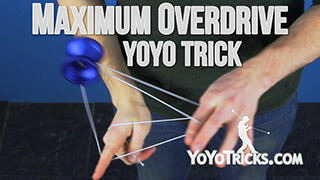 Then we are going to dismount the yoyo over our middle finger. Bring it into the string, and bring our throwhand up to meet it, just like this. 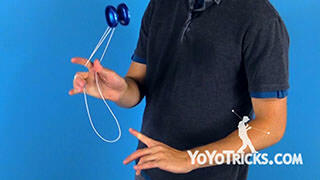 From here you can dismount the yoyo underneath again. 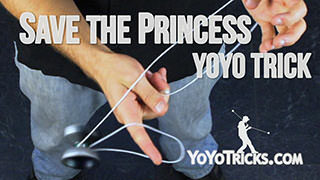 As you do this, you are going to curve your throwhand on the outside of the string like this. 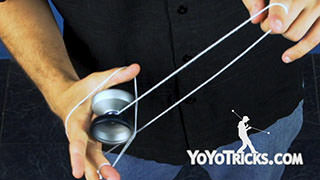 You will see that will line the yoyo up if you have got this string tension here, so that you can perform a Chopstick mount. So I will show you that from another angle. We have got the string wrapped around our thumb here in this chopstick position. 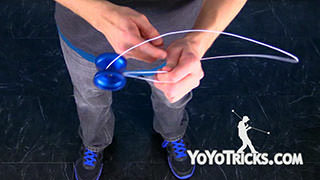 So we roll forward, unmount, mount the yoyo, dismount it, and then we are coming on the outside of the string. Here we have got that chopstick so we can just scoop the string right up. 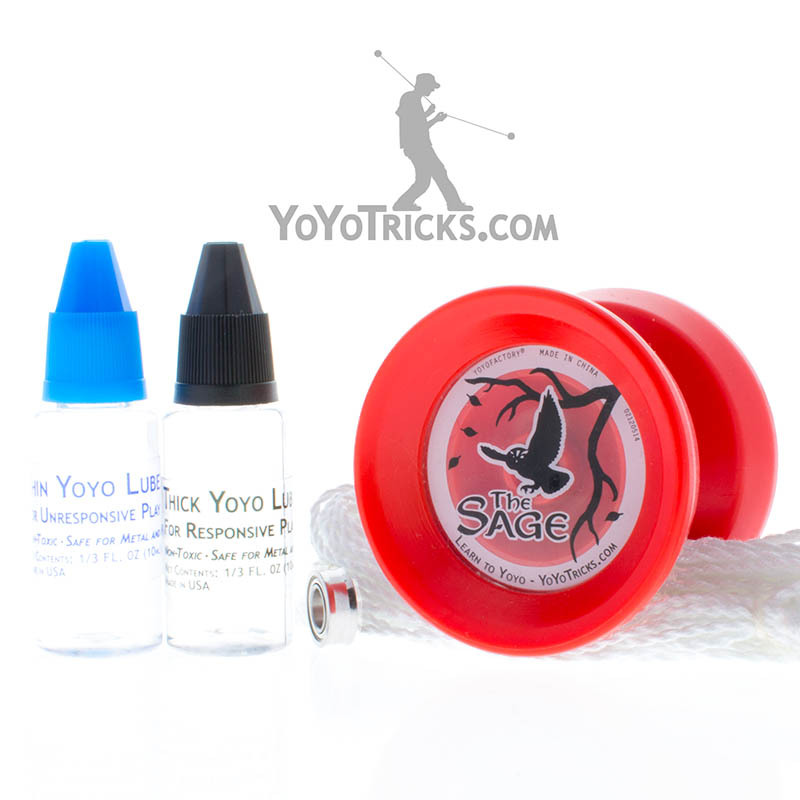 Then we are going to roll the yoyo towards ourself. Then pull our hand out. It will be rocking back at this point. 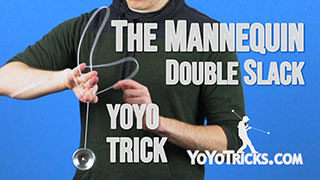 So from here, you take your throwhand and just undo the string, and that will let the yoyo come right out. You can land into a trapeze. 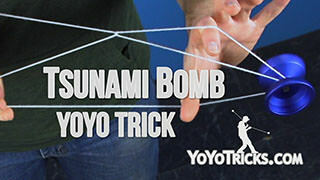 Now, to end the trick, a great way to end it is, as you are doing this chopstick portion, the yoyo is coming around, you scoop, roll back, and as it is coming in, landing into the trapeze, you want to put your throwhand elbow into the string like this. 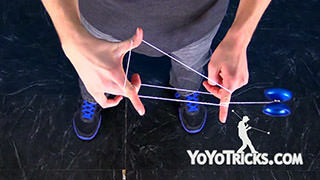 You can just practice this part and practice the bind by itself. So to get used to it, throw your trapeze, you are going to take your throwhand arm and twist that elbow in. So you can see now I have got the yoyo here in the trapeze, and the string is coming around my throwhand, underneath the arm here, just like that. 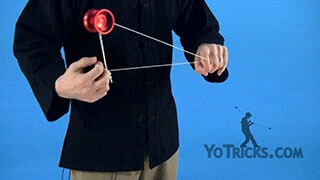 What we are going to do is dismount the yoyo and kind of hook with our opposite hand index finger, just like this. 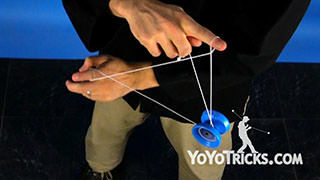 So we have got a grip on the string and we are going to let the yoyo swing around. We are going to swing it up and over, and pull on this string. 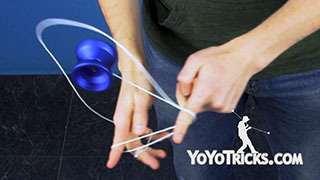 You can see that will bring the yoyo right over my arm. 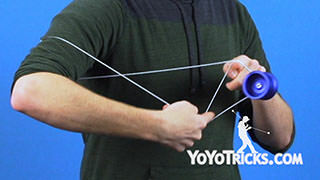 If you keep the yoyo in alignment the whole time with that string coming around your arm, then you will find you can hit the string. 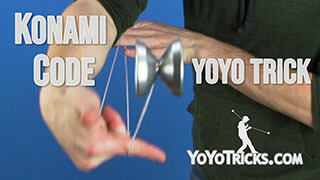 When it lands, then it will perform a bind, and come back to your hand. 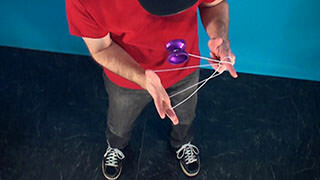 Now, if you are having trouble with that bind, one tip is really, you want to watch on that alignment. 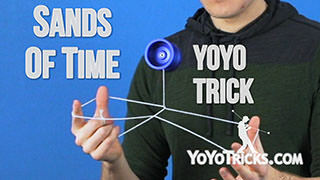 So if your arm is over like this, obviously when you do the trick, you are going to miss the string completely. 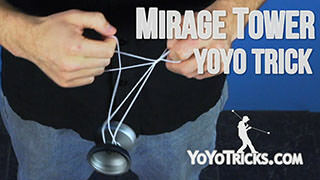 So you really want to make sure that the yoyo and the part of the string that is coming around your arm are in good alignment, and you will be able to hit it. So you can practice each one of those little elements separately. Then once you have put them together, that is how you do the Purple Gorilla.